Antifreeze has a pleasant taste. Unfortunately, very small amounts can be lethal. As little as one teaspoon of antifreeze can be deadly to a cat; less than four teaspoons can be dangerous to a 10-pound dog. Thoroughly clean up any spills, store antifreeze in tightly closed containers and store in secured cabinets. 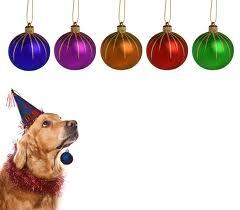 Automotive products such as gasoline, oil and antifreeze should be stored in areas that are inaccessible to your pets. Your animal may become poisoned in spite of your best efforts to prevent it. 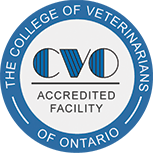 You should keep telephone numbers for Valley Vet (613-257-3202), a local emergency veterinary service (613-729-6139 Ottawa Vet), and the ASPCA Animal Poison Control Center (1-888-4 ANI-HELP) in a convenient location. 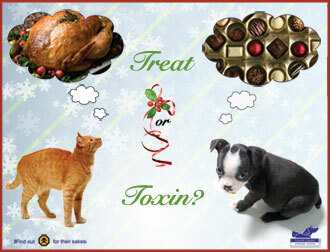 If you suspect that your pet has ingested something poisonous, seek medical attention immediately.